Recently I renewed my VMware User Group Advantage subscription, and I was reminded how just how amazing the benefits are that come with it. If you’re an IT professional with a home or cloud lab (eg. Ravello) and an interest in the VMware platform, then you should definitely check it out! Together with the above you also get $600 of vCloud Air service credit per year ($300 for the first six months and another $300 for the next). If you’re lacking a decent home lab then this is a fantastic alternative to testing the above software on. Together with access to the above there’s also a long list of discounts on training, exams and VMworld registration. I was surprised to learn at just how affordable this package is… just $200 a year! That’s an absolute bargain. 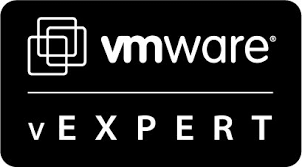 For more information, check out the VMUG Advantage at https://www.vmug.com/advantage. ← Could Dell’s new converged VRTX be a game changer?